Currently in the shop we are building four 18th century Philadelphia back stool chairs that have been attributed to Thomas Affleck and made for John Penn. Below is a picture of one original chair upolstered in red leather as part of a collection currently at Cliveden. Below is a picture of one our chairs under construction without the upolstery. This chair was made three years ago and has been waiting in the shop for the remaining three to be made. 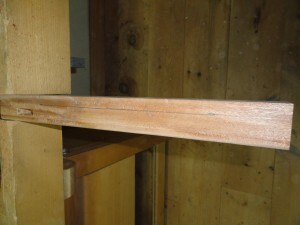 The primary wood is mahogany, and the secondary wood is white oak. The construction methods are full mortise and tenon with peg fastening construction. 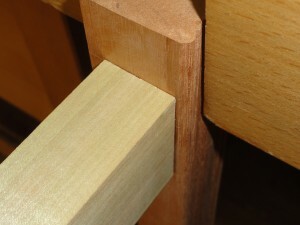 The side rail tenons go through the back chair stiles. One aspect of these chairs is the molding profile on the front legs. The profile on both the front and outside faces were made with two passes from each side edge from a custom plane made by Tod Herrli. A tracing of the profile will be posted soon. 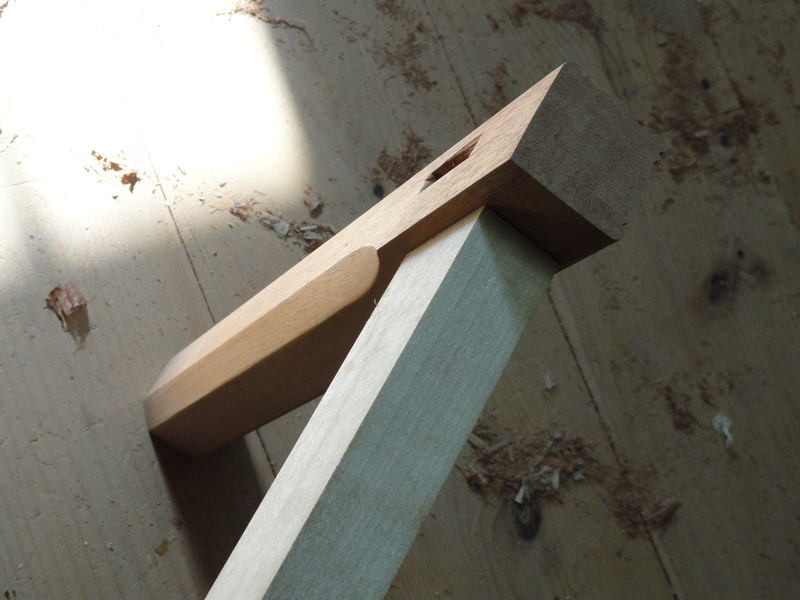 This same profile could be used on a leg of a table, foot stool or tapered sofa leg. 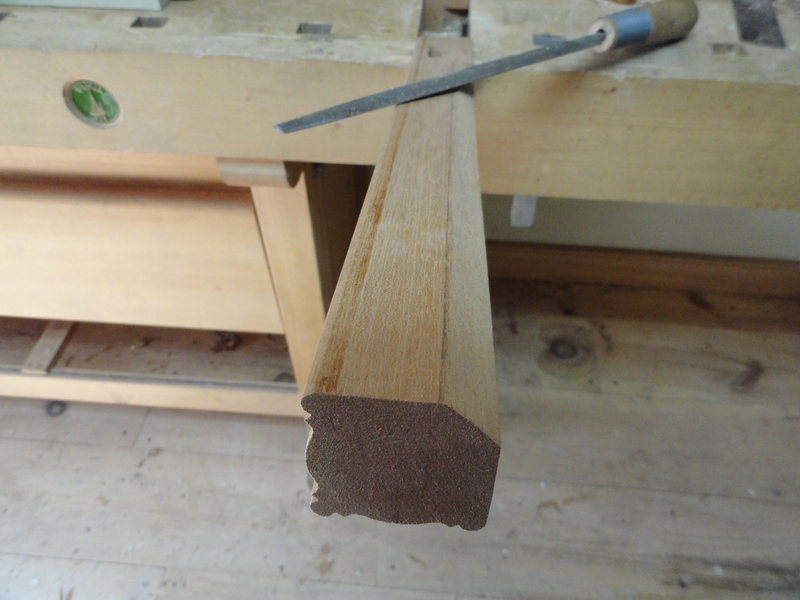 After using the molding plane, the profile is finished by either making a matching profile scraper or as I did, use a carving chisel, files, general scraper and sandpaper to achieve the final result. Below is a picture of the remaining legs after this process. 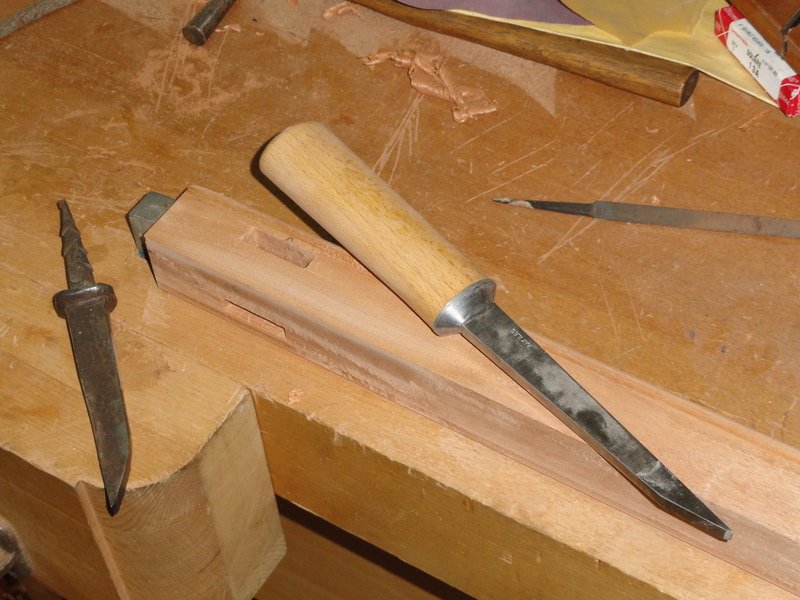 Before the front legs were molded, they first had the mortises marked out with a knife and then chiseled out. 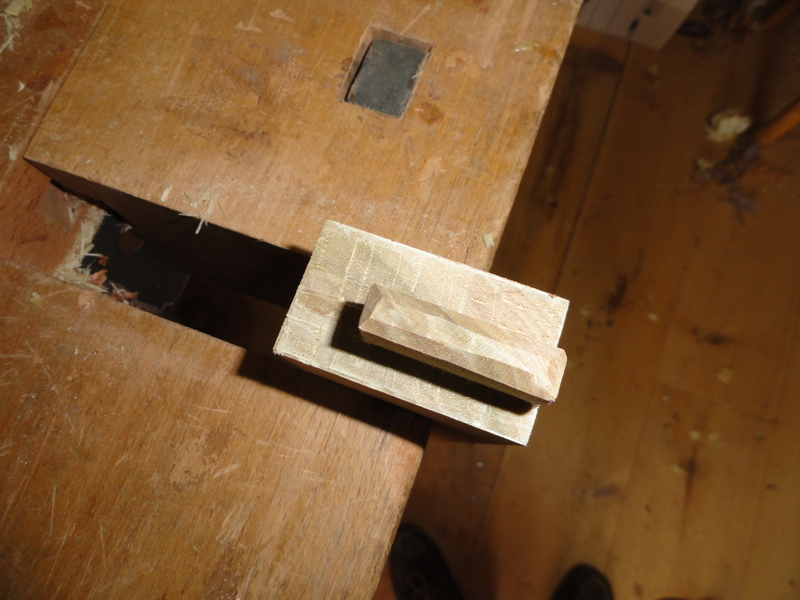 I used a mortise chisel by Ray Iles to accomplish this…a wonderful tool and highly recommended. Below is a picture of one of the legs, the Ray Iles chisel and an early hand wrought chisel in our collection. 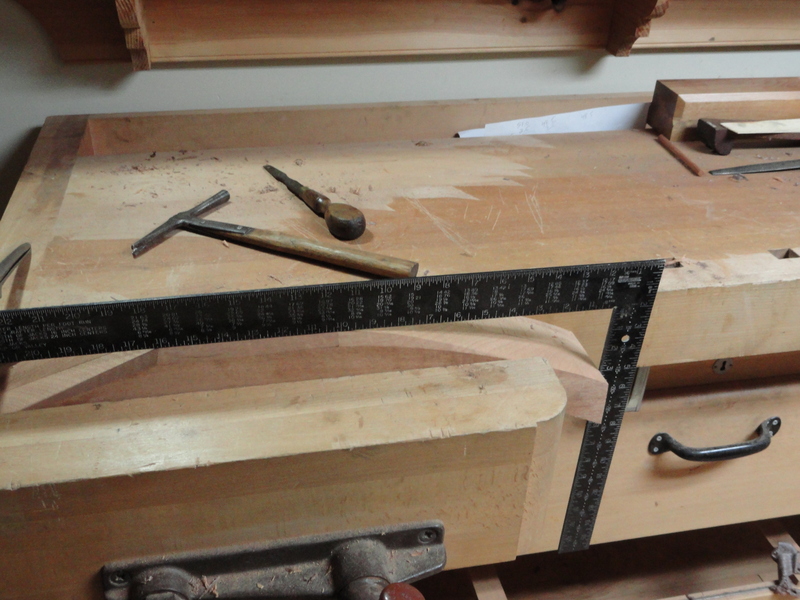 The mortises in the front legs are 7/8″ deep, 3/8″ wide and 1-1/4″ long. When marking out the mortises in the front legs, its important to make sure the rail will be about 1/8″ behind the molding profile. This is because after assembly the profile will be planed flush with the rail where the upolstery is applied. This is shown below before assembly and after in the chair above. Both the front and rear legs have a chamfer applied on the inside edge. 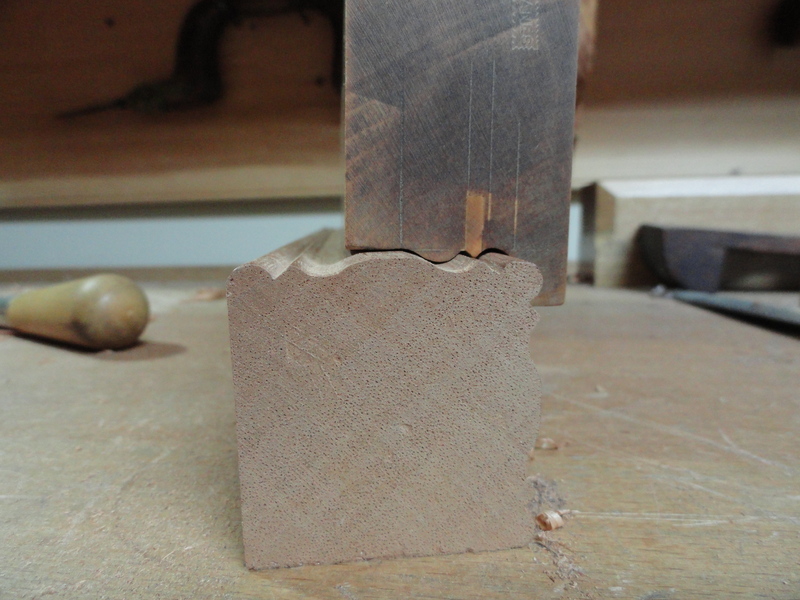 In this case we marked out the dimension with a pencil about 1/2″ off each of the inside edges and used a rasp to make the profile. 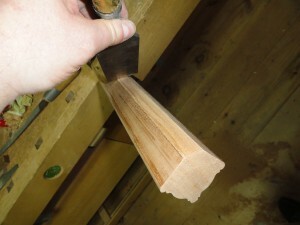 The final surface of the profile can be finished with a scraper or the back edge of a sharp 2″ chisel, followed by burnishing the surface with shavings left over from planing. 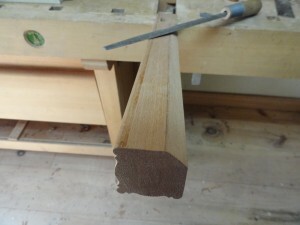 The pictures below show this process and the final result on the front leg. 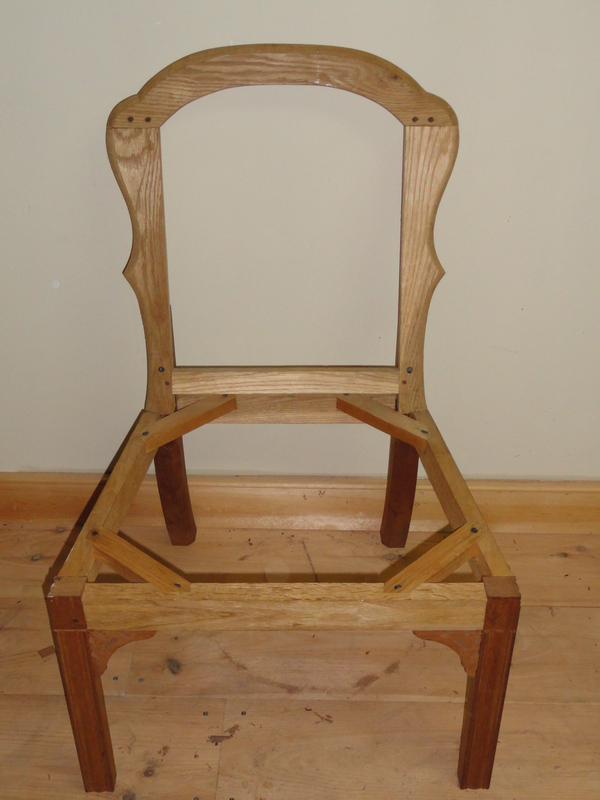 The supporting cross members in the seat frame are dovetailed into the seat frame, glued in place and fastened with a period wrought nail. The back frame is fastened with handmade period screws. 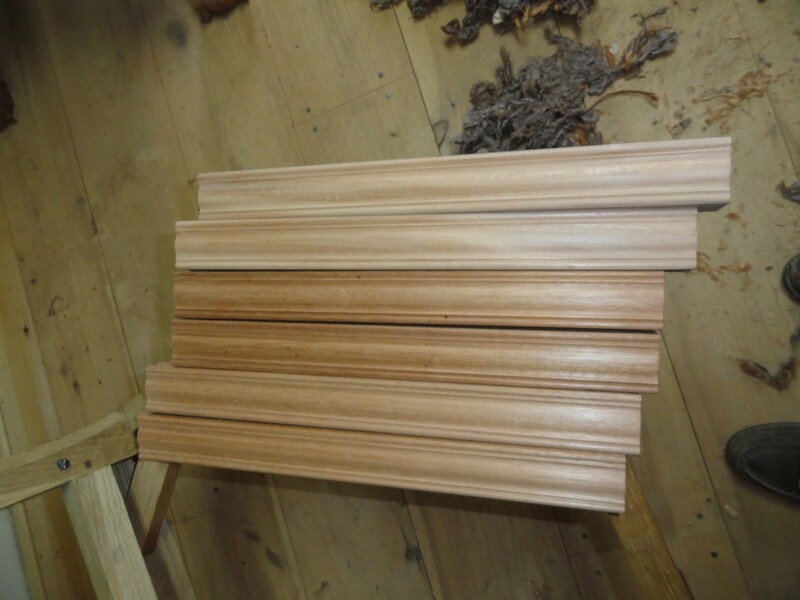 The remaining three chairs are being made with poplar as the secondary wood. Over the next several weeks pictures of the process for making these chairs will be shown.